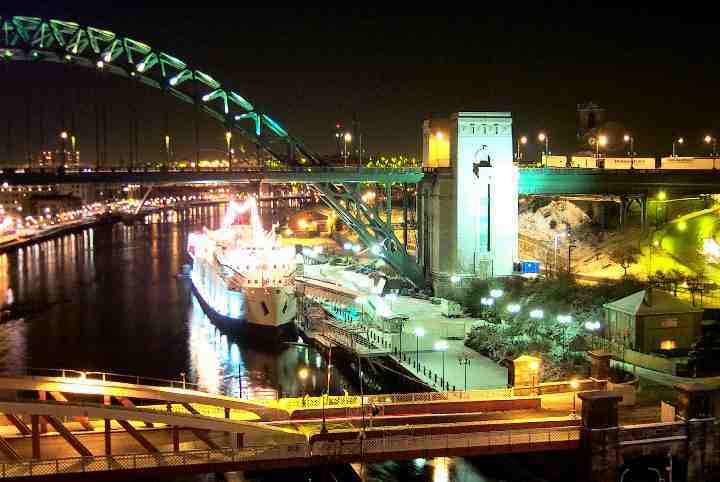 This set of photographs were taken in digital format and demonstrate the capabilities that such medium has. 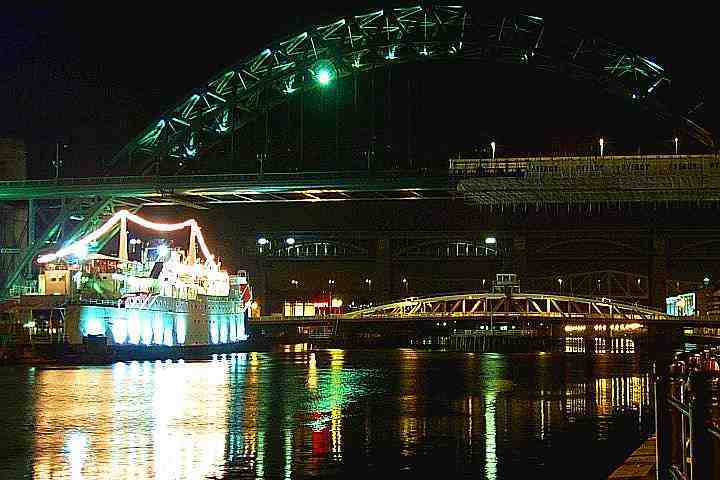 Tyne Bridge and Tuxedo Princess Floating Night Club beneath. 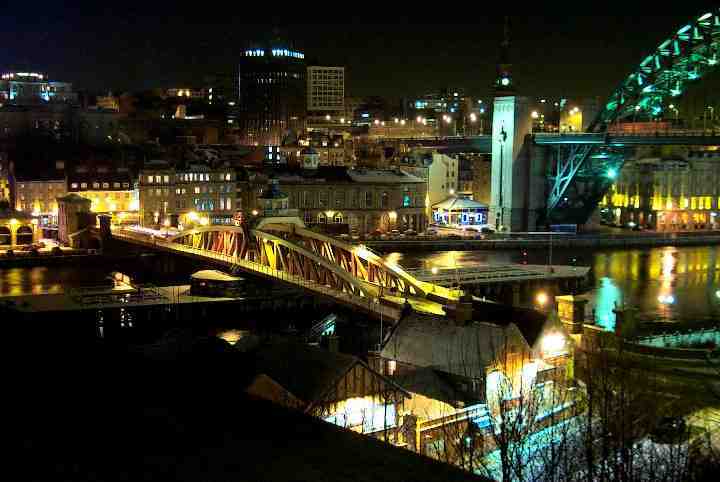 Tyne Bridge and Gateshead Quayside with Swing Bridge in view. 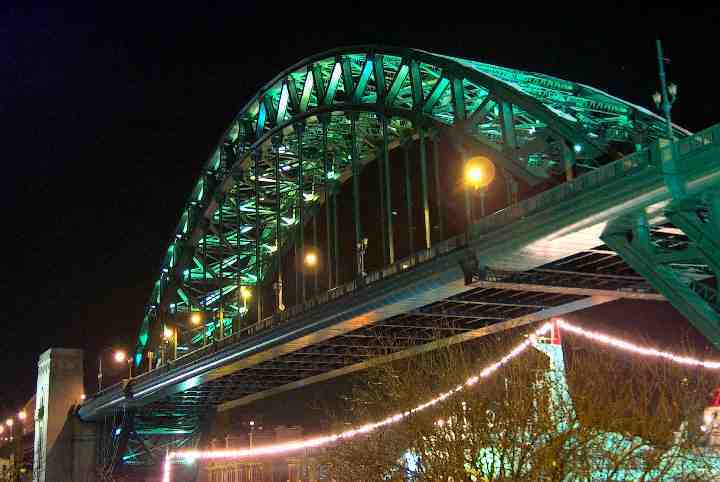 Tyne Bridge as taken from the Gateshead end of The High Level Bridge. 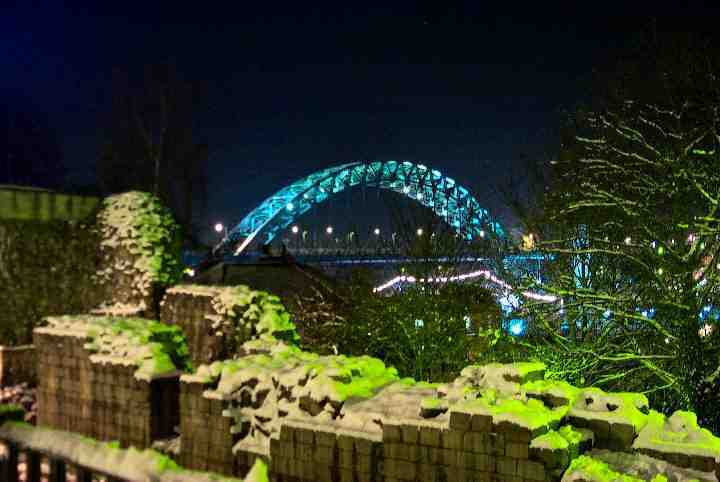 View of Tyne Bridge and Castle Walls as taken from Castle Square. 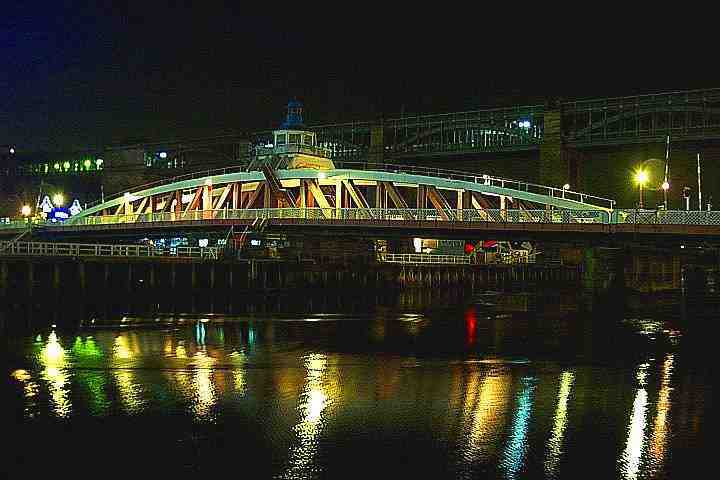 Reflections in the Tyne from the Swing Bridge at night. High level in background. 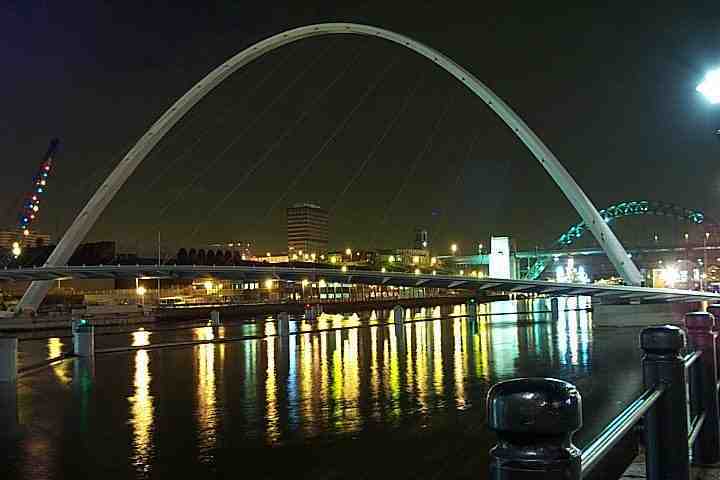 Another view of the Millennium Eye Bridge, looking towards the Tyne Bridge. 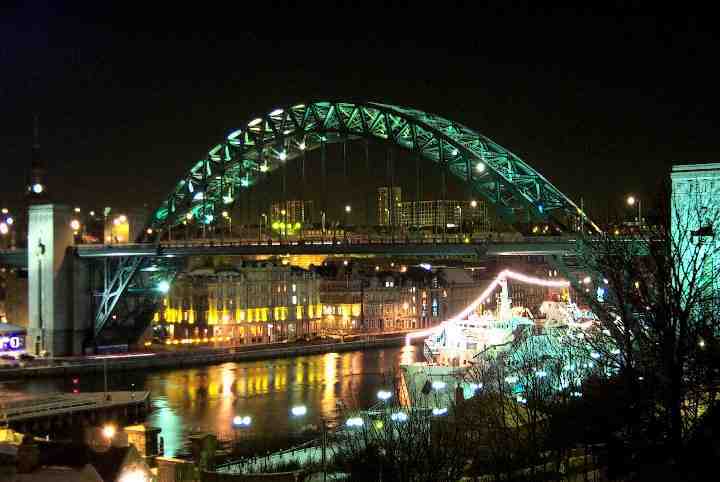 Tyne Bridge as photographed from Gateshead Quayside. 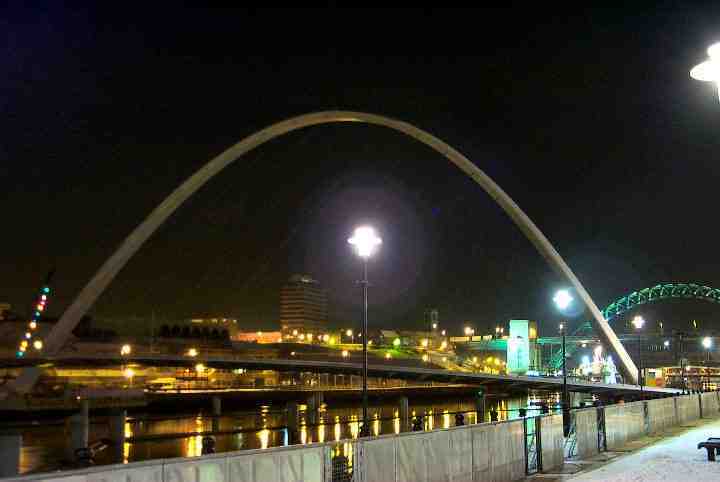 Newcastle and Gateshead's latest bridge - The Millennium Eye Bridge. 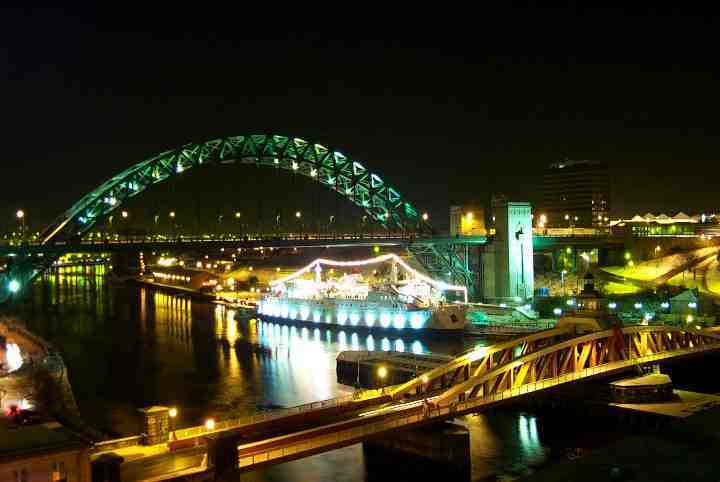 A view uo the river showing the Tyne and Swing Bridges at night time. 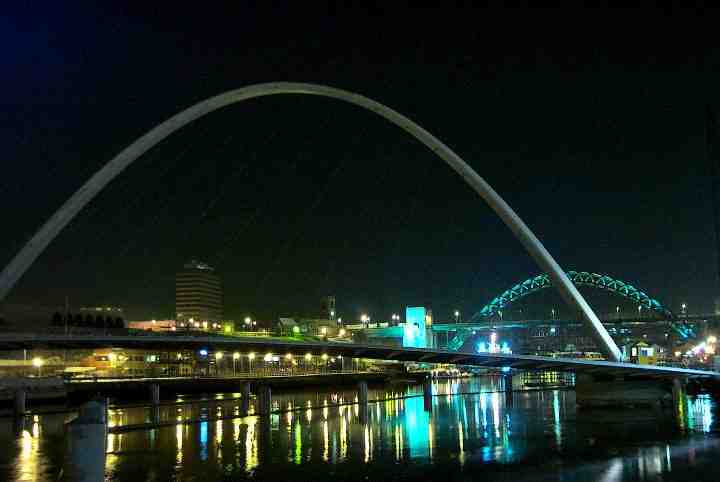 Tyne and Swing Bridges as seen from the Newcastle side of the river. 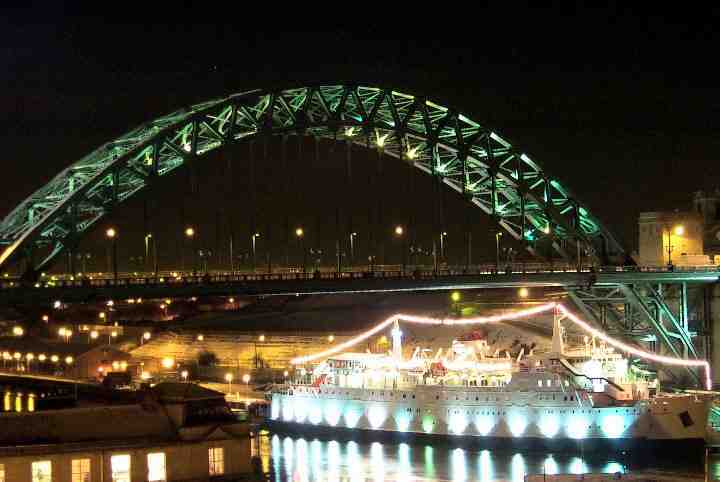 Photograph of the Swing Bridge as taken from the High Level Bridge.